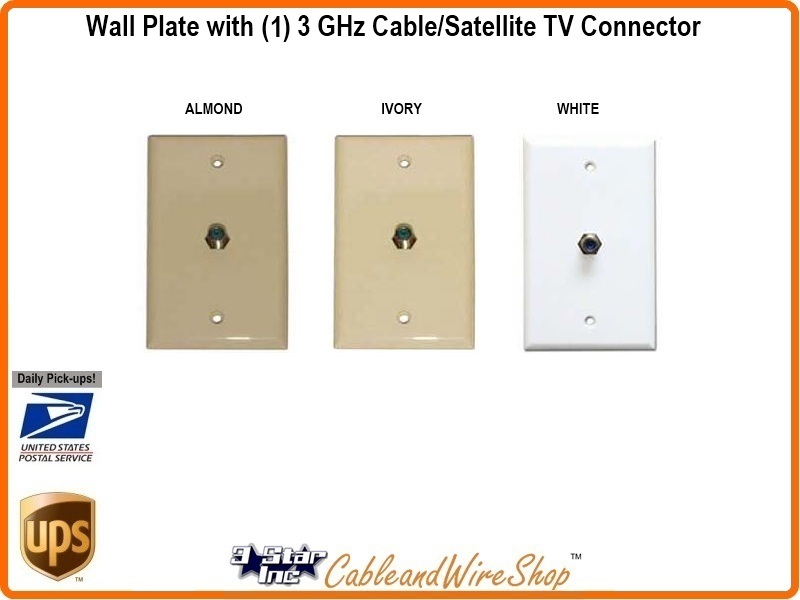 White, Almond or Ivory ABS plastic standard wall plate, 2.75 by 4.5 inches, 1 Port F-81 3 GHz Satellite Cable TV connector included. These are the Wall Plates that are All-in-One with Satellite TV, Cable TV, HDMI, RCA Video/Audio and/or Telephone Jacks integrally part of one simple plate. Available in White, Ivory or Almond Colors. Perfect for New Additions and Outlets where an asthetically pleasing match to paint or Decor is desired. Popular Single or Combination jack plates that are economically priced to boot.